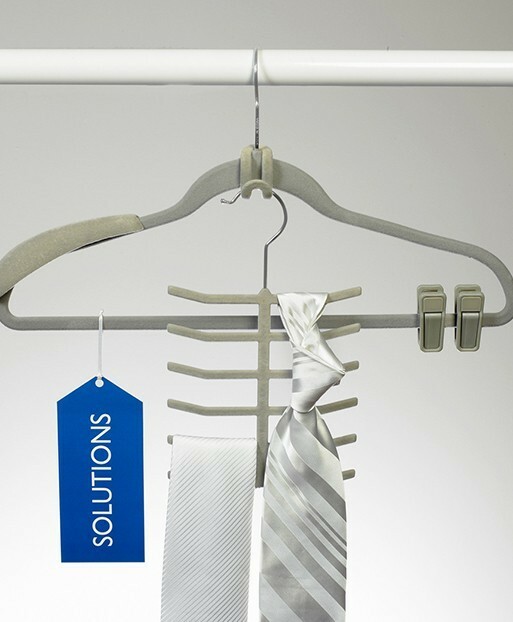 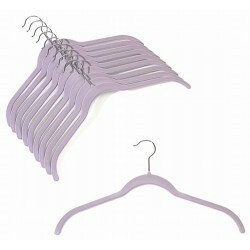 The revolutionary Slimline Hanger will bring organization to your closet like never before. Taking two to three times less space than traditional clothes hangers, these space saving hangers are an excellent solution for the overstuffed closet. 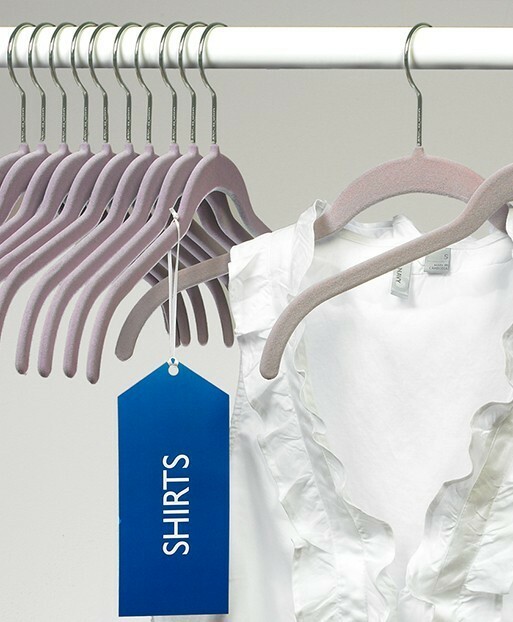 Tired of your clothes falling to the floor? 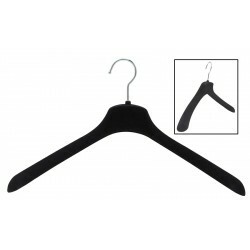 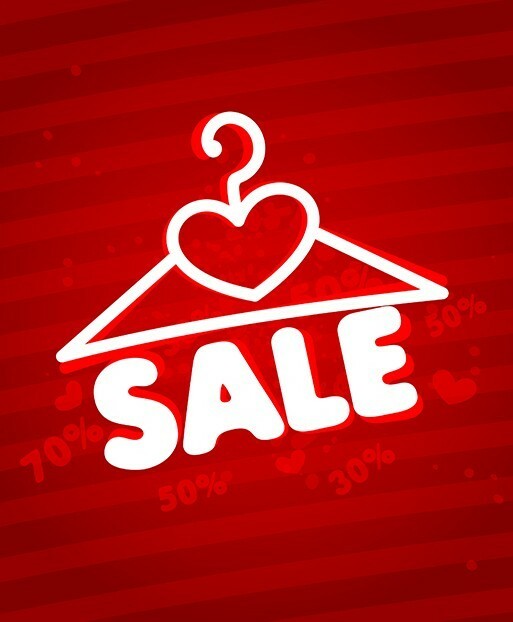 Slimline Hangers, also called velvet hangers, have a unique velvety surface, keeping your clothes from slipping off. 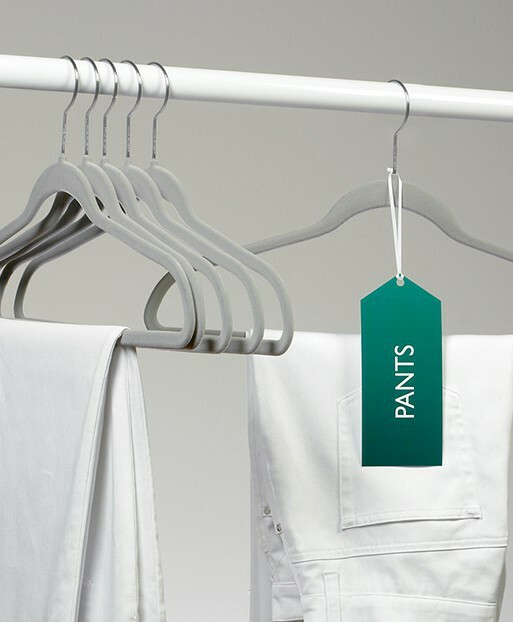 The soft texture of Slimline Hangers is gentle on clothes and keeps the heaviest garments and the softest silks where they belong. 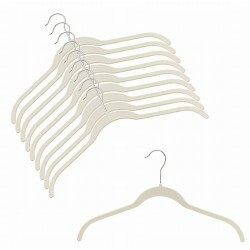 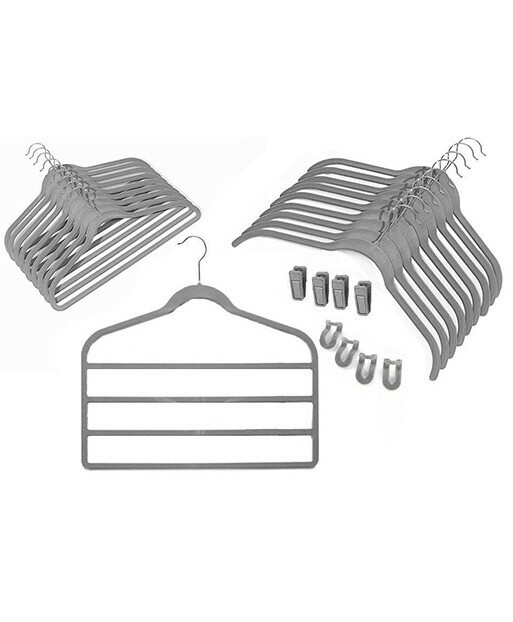 Choose from an assortment of accessories allowing Slimline Hangers to fulfill all of your closet needs. 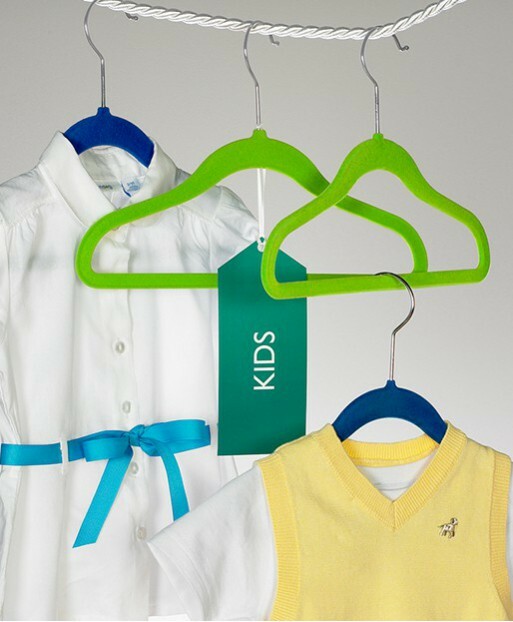 Cascading mini-hooks make clothing display and coordinating a cinch, while finger clips take care of those pants and skirts, keeping them wrinkle free.